The Kickstarter for Strange Brew: The Ultimate Witch & Warlock is back on. and more—no two witches need ever be the same again! 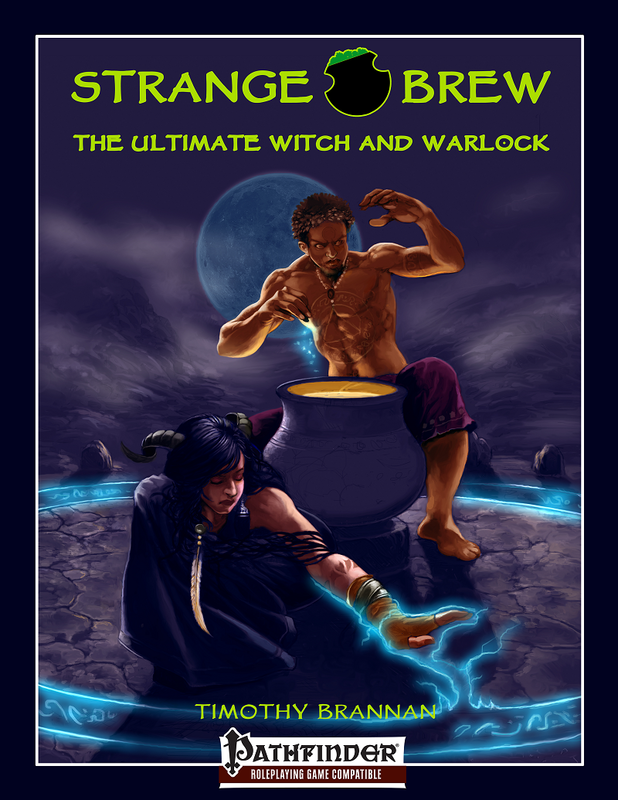 Make your witch much more than a distaff wizard with Strange Brew: The Ultimate Witch & Warlock! So what makes this different from The Witch or Eldritch Witchery? Plenty! I have taken the d20 witch classes and picked the best of the best OGC. I have also included my original d20 witch refined over 13 years of play. Added to this all is the Pathfinder witch and a brand new Warlock class. We dropped the page count, made the book full color and dropped our funding goal. I want to do for witches what Deep Magic and Ultimate Psionics did for wizards and psychics respectively. If you have liked the work I have done it the past then you will love this. Good luck, Tim! You must have a blast creating these. Interested in doing a guest post? Maybe at the IWSG site?